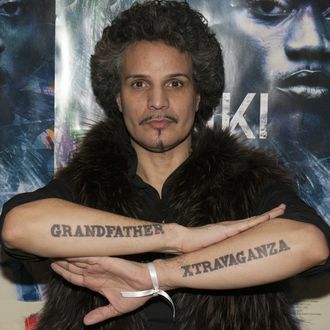 “Grandfather” Hector Xtravaganza, founding member of the House of Xtravaganza, an iconic entity within New York’s underground ballroom and vogue scenes, has passed away at the age of 60. His death was announced via the house’s Facebook page, and memorialized by actress Laverne Cox, Pose co-creator Steven Canals, and others on social media. Almost two years ago, I sent Hector Xtravaganza the pilot script for POSE, written by myself, Brad Falchuk and Steven Canals. Hector was a huge influence on the development of the script; in many ways he was the Grandfather of the house scene (and that is how he identified). So many scenes in the script -- including the opening Royalty museum heist -- were actually inspired from stories he told me, always with a glimmer in his eye. His verdict on the script, which got his seal of approval: "I'm ready. Let's go make magic." And so we did...eight episodes worth. Hector was heavily involved in the creation of those ballroom scenes. Carefully watching, always gently correcting, always enthusiastic. As a director, his direction of ME and what I was doing was invaluable. Along with Sol, Luis, Freddie and other survivors and champions of the 80s ball scene, he wanted -- demanded -- that the show come correct. The thing that struck me about Hector, always, was his kindness. He was perhaps the greatest SURVIVOR I had ever met. And he had survived so much...the HIV crisis, decades of discrimination, poverty, indifference, violence, time. And he did it with a smile, an uplifted heart and always the hope that things would one day get better for himself and his community. And with POSE, perhaps, things were indeed on the upswing. He loved acting and wanted to do more of it...that door had opened for him. How I wish we had the time to make more of his dreams come true. Like so many hundreds if not thousands of people, I loved him. And I have been honored to know him. He may not be here anymore to walk/judge a runway...but his legacy will strut on for all time. RIP, my friend Hector. How lucky and blessed I was to have met you. You will always be one of my heroes.